In NYC’s East Harlem: ‘Women and girls won’t be silent! 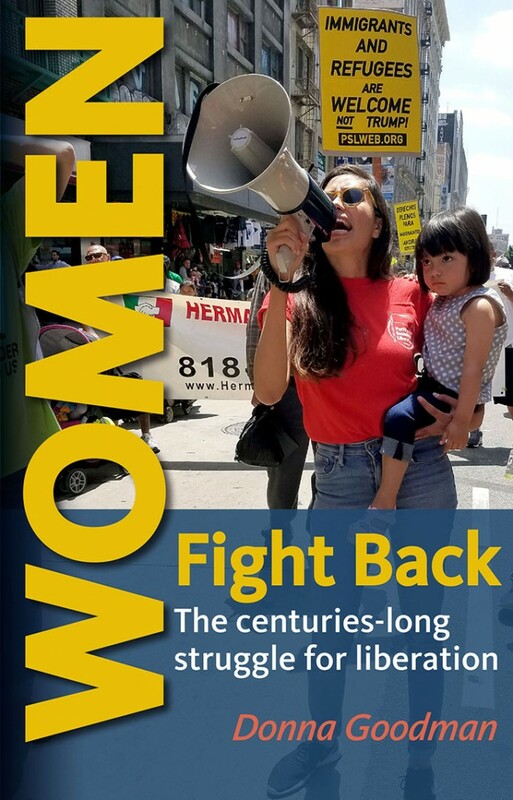 Millions of women around the world participated in an International Women’s Strike on March 8 honoring the militant legacy of International Women’s Day. Women in over 50 countries withheld their labor to demand reproductive justice for all, an end to gender violence, and labor rights for both paid and unpaid work. Here in the United States, in cities across the country, the message of IWS was clear–feminism for the 99 percent. 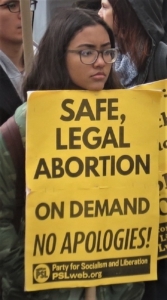 In New York City, IWS organizers held a rally March 8 in Washington Square. 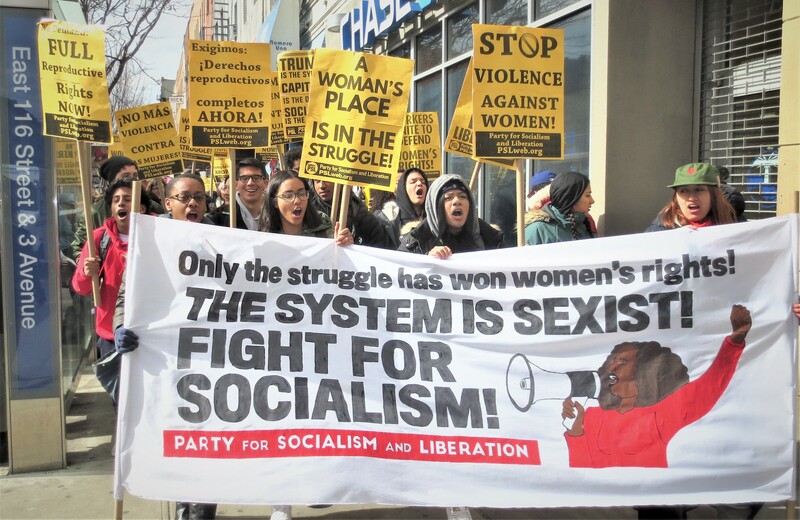 Two days later, the Party for Socialism and Liberation held an empowering march and street rally in El Barrio, addressing the issues that confront women there. 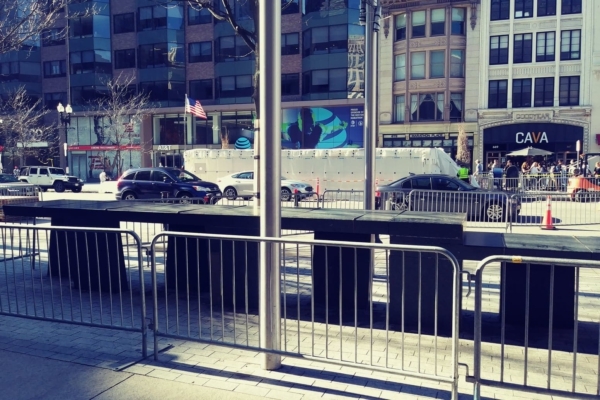 The March 8 IWS activity called on women to strike that day between 4 – 5 pm to protest the attacks on workers launched by the Trump Administration. For example, recent tax cuts of $1.5 trillion gutting exemptions that benefit low-wage workers while handing this money to the wealthiest 1 percent. Medicare, Medicare, Social Security are also slated for cuts. The rally’s program was full of grassroot and union organizers. A teacher from MORE (Movement of Rank and File Educators) spoke in solidarity with the West Virginia strike. Nurses from New York State Nurses Association called for an end to price-gouging by big phrama, better treatment for their patients, and free healthcare. Palestinian freedom fighters called for an end to the Israeli occupation. 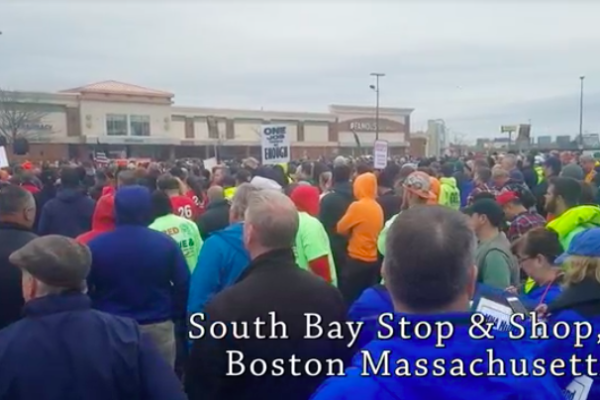 The rally was followed by a march of 400 people that stopped at multiple locations to demand for funding for health care, an end to violence and discrimination against LGBTQ people, an end to sexual exploitation, full rights for all immigrants, and better wages and working conditions for farm workers. 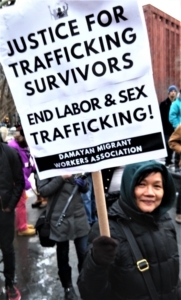 PSL, joined by the Damayan Migrant Workers Association and others, had a strong contingent. 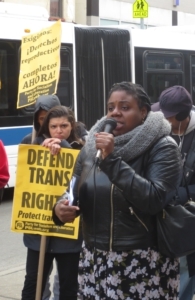 Several stops were to hold speak outs connecting struggles impacting the community, from the gentrifying rezoning taking place in El Barrio, to reproductive justice, to LGBTQ rights, to immigrant rights, to combating sexual harassment and assault. Conversations were sparked as East Harlem residents gravitated to the speakers’ powerful messages highlighting how working-class women are neglected, underpaid and always under attack. Karina Garcia, PSL member and Associate Director of Education at the National Latina Institute for Reproductive Health, highlighted the lack of access to healthcare. “I know that healthcare, and reproductive health in particular, is such a huge source of hardship and anxiety for poor and working-class women. So many people have an outrageous story of being denied coverage, of a family member needlessly suffering, or of the constant run around by insurance companies, of extreme poverty caused by hospital bills, of women not having access to necessary procedures.” Karina held the capitalist profit driven economy responsible for the lack of accessible, quality and affordable care. Speaking in solidarity with immigrant brother and sisters and with the Palestinian people, PSL member Dari eloquently stated: “Fighting against war and imperialism is a feminist issue, it is a women’s issue because women in war-torn countries are denied access to basic humanitarian living conditions. Women in imperialist countries like the U.S. watch their tax dollars fund military expansion.” She, and other speakers, urged solidarity with oppressed people around the world. 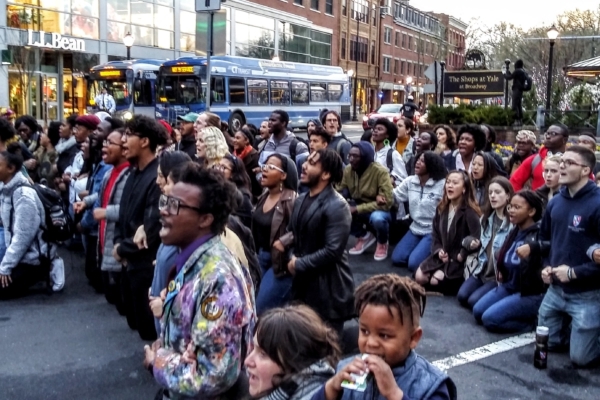 The march ended at the Justice Center in El Barrio, where the men of PSL had organized a women’s appreciation pot luck dinner for the demonstrators.